Dorpsstraat 40, 6277 Slenaken, Netherlands. 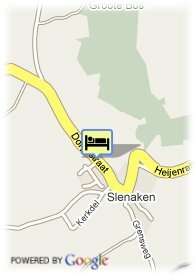 Parkhotel Het Gulpdal is situated in the characteristic village of Slenaken, far away from busy city life. Quiet, space and privacy go hand in hand with elegance, style and warmth here. 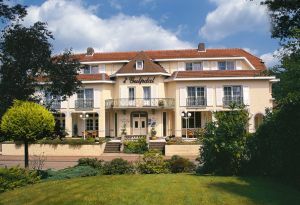 The heart of Hotel Het Gulpdal is represented by its attractive restaurant. A perfect ambiance to savour the culinary highlights from the renowned kitchen. A culinary eldorado for connoisseurs. The comfortable rooms and suites have been stylishly and luxuriously decorated. A stay in Het Gulpdal means a stay in a different world. A world without stress and deadlines. The hospitality, spectacular atmosphere and unspoilt nature of South-Limburg, ensure that your stay is completely worry free and relaxing. For people who have seen it all… Once you have experienced it, you will always want to return. The Huls family and staff members are awaiting you arrival with anticipation. Forest, Mountains, Park, Panoramic view. Children less than 18 years and more than 12 year(s) old: 45.00 € for each additional bed. For older children and adults 65.00 € for each additional bed is charged. Limburg has a culinary reputation that is closely linked with the exuberant lifestyle of the people of Limburg, which you can find back in our excellent, French-Belgian kitchen. For the menus only seasonfresh products are put together, giving special attention to a natural taste. On our terraces you can order a decent glass of wine or a cup of coffee, and meanwhile experience and enjoy the natural beauty and quiet of the South of Limburg.